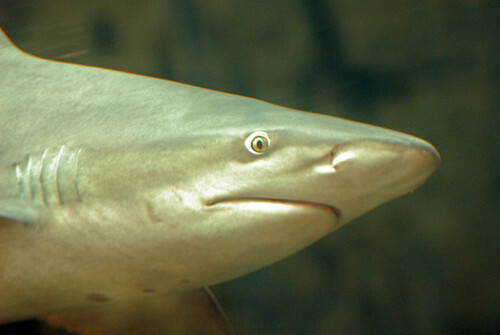 The bull shark, Carcharhinus leucas, also known as the bull whaler, Zambezi shark or informally Zambi in Africa and Nicaragua shark in Nicaragua, is common worldwide in warm, shallow waters along coasts and in rivers. The bull shark is well known for its unpredictable, often aggressive behavior. Many scientists agree that since bull sharks often dwell in shallow waters, they may be more dangerous to humans than any other species.